This week the weather was FANTASTIC. I spent too much time in the sun. But it was so much fun. We played in the pool, hung out with friends, and enjoyed the perfect weather. But we live in Seattle, so the clouds rolled in this morning and we have a few days of cool weather and rain ahead. This morning I wanted something to warm me up and get my week started. 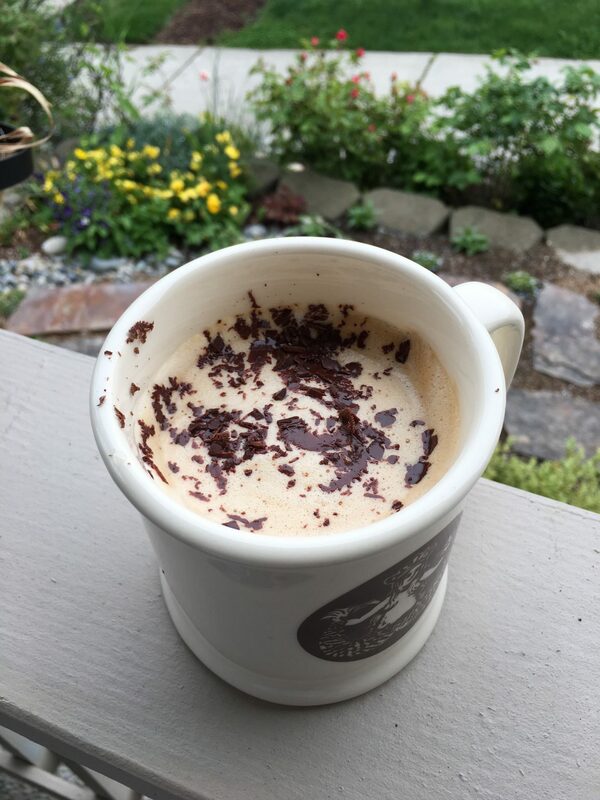 This one, an almond chocolate combo is not too sweet, but has a nice nutty flavor that goes so smoothly with the chocolate and espresso. I hope you'll like it.